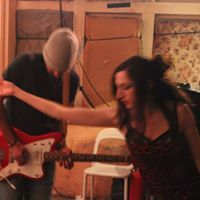 From the music and dance underground of Amsterdam arises El Otro the duo of dancer Manuela Lucia Tessi and guitar player Arvind Ganga. Two unique individuals mix the mood of the space and the energy of the audience with their own temperament and intensity and express that through instantly composed music and dance. A journey to their inner souths, where the sun is blistering hot and the loins call the shots, transforming a dusty sleepy town into a desperado inferno in a matter of seconds. They love to be in between and close to the public, breaking the wall between audience and performer. They like the challenge of non theatrical spaces, like galleries, foyers, cafes, living room resembling locations, in which the boundaries between the audience and the performance space are blurred, and the audience not necessarily seated with one front. They test how the location of performance space influences the attention and behaviour of the audience and therefore responding in their movement and sound material. 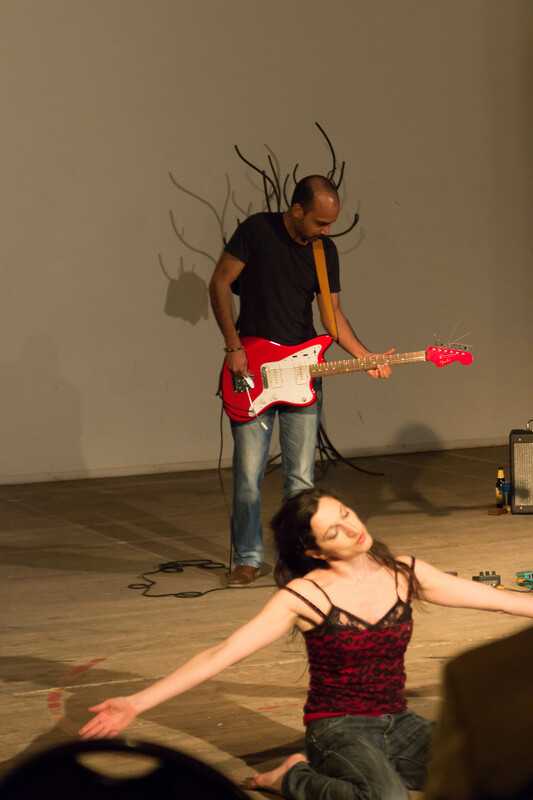 Arvind and Manuela met in 2006 in the underground scene of dance and music improvisation of Amsterdam and in 2012 they performed their first duo under the name of Modern Flamenco, briefly then changing to the name El Otro. 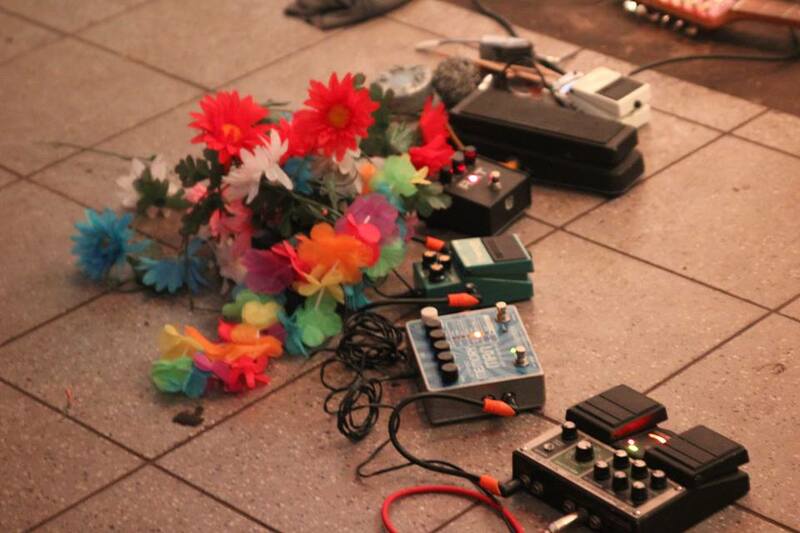 They have played in various locations in the Netherlands, Berlin and did a short residency in Prague. They are currently looking for new dates for the season 2017-18 and possibility of sharing their experience with other performers also trough teaching music and dance (instant) composition workshops. Arvind uses guitar, effects and objects to create free improvised sounds, warm, haunting and noisy, compared by some to road movie soundtracks. He plays solo, and collaborates with other improvisers and modern dancers. Manuela is an Italian freelance dancer and choreographer based in Amsterdam and Berlin. 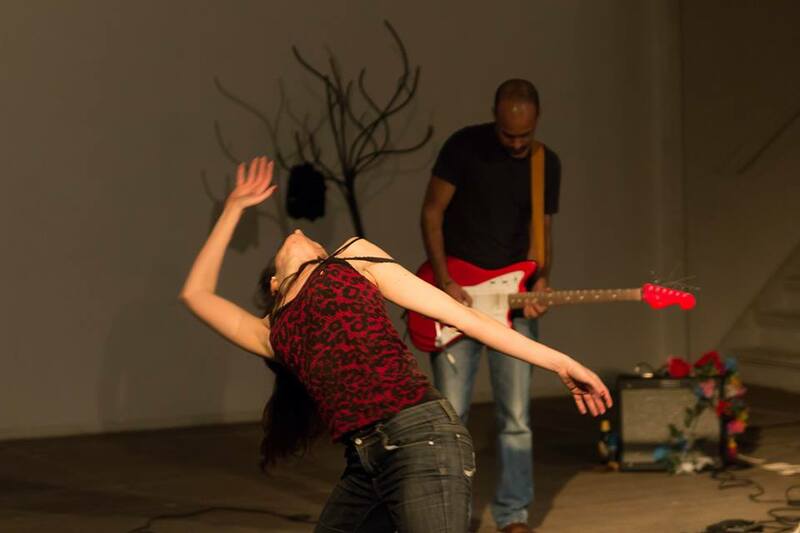 She works in several interdisciplinary projects which strong core is the relationship between dance and live music. I am a dancer, teacher and maker based in Amsterdam and Berlin. I hold a degree in Modern Dance from the Theater school in Amsterdam and have spent the last several years performing and touring my work. Live music, whether composed or improvised, has played an important role in my performance work in the last 13 years. Since 2004 I have studied and worked with Katie Duck, who has been one of my greatest creative influences alongside the many dancers who have inspired her direction in work. I did an apprenticeship with Magpie Music Dance Company in 2007, that lead to several ongoing collaborations, in particular with Makiko Ito, artistic director of Wonderland collective, and Miri Lee. I recently performed two solo works created specifically for me by Vincent Cacialano and Paul Estabrook. I have an interest in movement prior to dance as a formal language, in my movement research I include a scientific study of movement (somatic and kinesiology). I believe that content and functionality provide form: I work with movement principles and qualities and those are the raw materials to compose with. I look for sensuousness and embodiment in dance, often referring to kinesthetic empathy, how is the movement being read by the spectator not solely with the eyes and intellect, but perceived on a visceral level. I collaborated over five years with a dancer and researcher specialized in Southern Italian traditional dance and music. I studied and performed with her, learning some traditional forms of dance ( the Pizzica from Puglia and Tammurriata from Campania) and I did a study on the Tarantism, a complex phenomenon that has its roots in the pre christian pagan traditions, involving a form of mental illness-state of possession and its cure through music (always played live) and frantic dance. This experience changed the way I approach contemporary forms of dance and music, making me understand the cathartic function of the art form, and the importance of the live interaction of the two. I curate two platforms for dance and live music performance: the series Music Dance 301, at the cultural center OT301 in Amsterdam, and Musiktanznulldreissig, its sister project, taking place in various Berlin venues, in collaboration with flutist Friederike Wendorf. Arvind Ganga is a guitar player from Den Haag, the Netherlands. He takes a physical approach to guitar playing, employing objects and extended techniques to explore new sonic possibilities. His music draws from influences as diverse as noise and drones, North Indian ragas, experimental rock, and everyday sounds. With free improvisation he brings these together into an intense, loosely structured, chaotic mesh that is bathing in the rays of a deep red sun. Ethereal noise with a punk-improv attitude. Arvind plays solo, improvises with like-minded musicians, and is active in music/dance improvisation. His music took him to play squats, galleries, clubs and festivals from Poland to Portugal, England to Slovenia, Turkey, Chile and Perú. -20 May, Antarctica, Amsterdam * Until now El Otro was called Modern Flamenco.